Most of us in the aeronautics industry remember the famous Concorde…the famous supersonic commercial jet that became reality but didn’t last long enough to become mainstream. 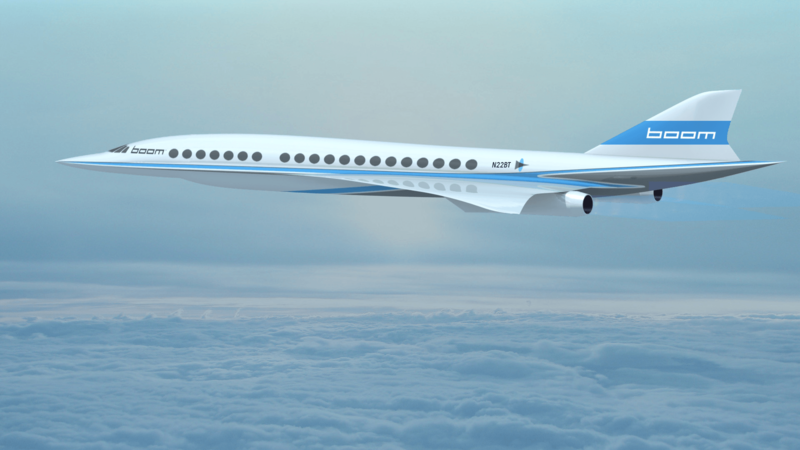 In Denver, Colorado an ambitious startup is reviving the dream of supersonic travel, and designing a plane able to fly at Mach 2.2, and shooting for a cost of no more than $5000 for a round trip flight from LA to New York. On March 23rd, Boom Technology unveiled their first design mockup; a 40-seat plane utilizing all the latest advancements in materials and software technology including advanced composites to reduce weight and optimized aerodynamic curvature for a more efficient use of the delivered energy. In addition, virtual prototyping powered by a new generation of design and analysis software programs will allow make prototypes and testing much more cost efficient. Boom Technology was launched September 2014 by ex-Silicon Valley entrepreneur and coder Blake Scholl, who has been a pilot for a decade. His conviction that supersonic travel is a path worth treading led him to dive into aeronautics and bring several experts on-board, and his investors are taking him seriously. Scholl’s team includes engineers from prestigious names such as NASA and Pratt &Whitney. Scholl states that Boom’s jet will be 30% more efficient and significantly lighter than the Concorde, according to early simulations. A flight from Los Angelos to Tokyo would take five hours, and it is designed to fly at 60,000 feet. Scholl is confident that a market exists for his plane; he states he already has an order of 10 aircrafts from Virgin Atlantic. In addition, they’ve booked an extra order for 15 aircraft from an unnamed UK-based airline. Moreover, Scholl states that Boom’s supersonic jet will fit at least 500 destinations. Many still doubt the vision of Boom Technology, arguing that Concorde failed because of lack of demand for a 3 hour intercontinental flight. Scholl argues that the decreased cost and faster travel times they’re expecting, he expects extremely strong demand for his new class of flight.